This DIY Mirror Frame tutorial will save you hundreds over buying a framed mirror in the store. Add a wood frame to a plain ole mirror to add character and style. Buying a framed mirror can cost several hundred dollars or you can DIY your own for a fraction of the cost. 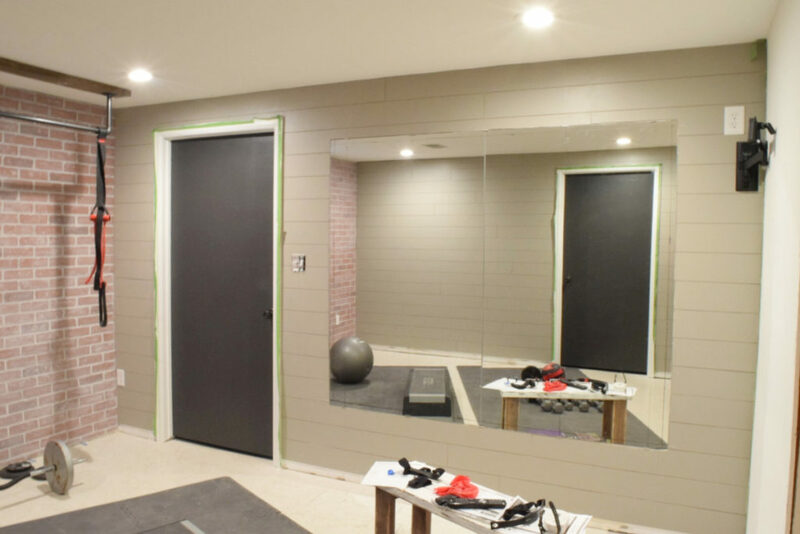 We installed two large mirrors during our home gym remodel with the plan to add a wood frame. 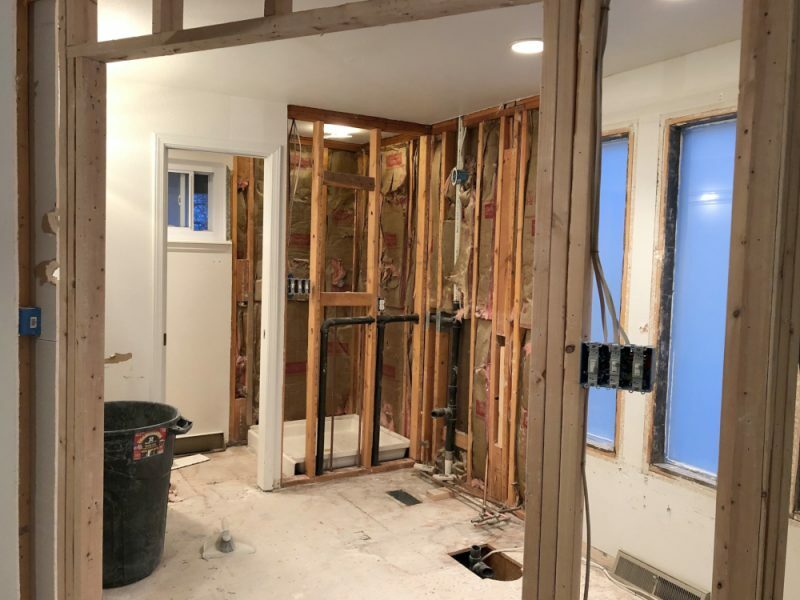 Adding the frame definitely transformed the room and made the space look more finished and professional costing less than $20. Mirrors are not only functional but also decorative. Having a mirror in a space can make it feel more open and spacious. 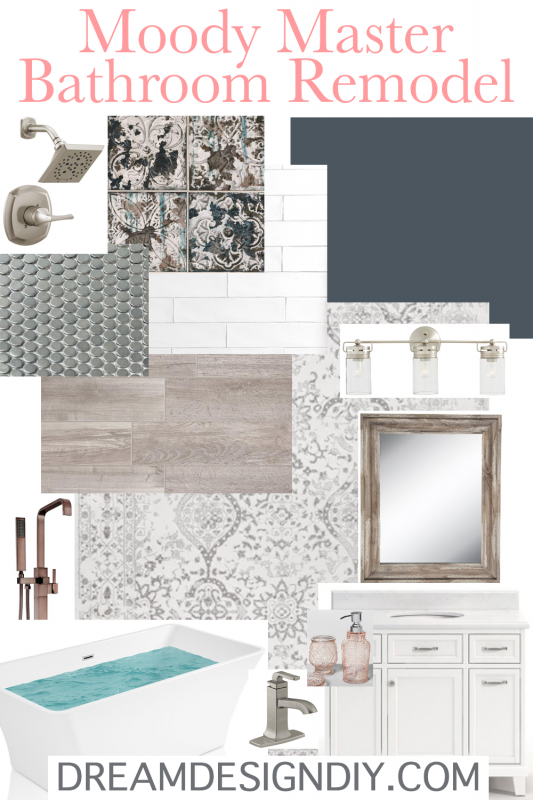 Bathroom mirrors – probably the most common area you think of when it comes to a mirror. A bathroom mirror doesn’t have to be just for function adding a frame adds to the interior style and theme of the bathroom and hides those cheap looking mirror clips especially the plastic ones. 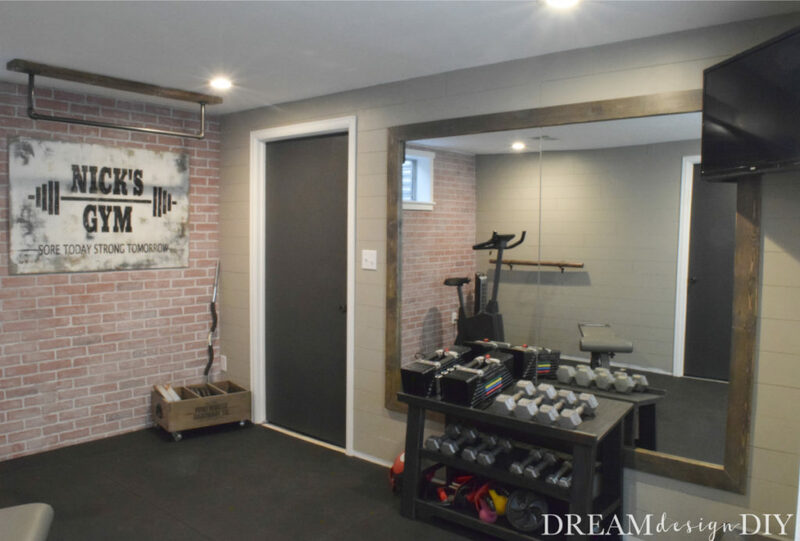 Home gym mirrors – extremely functional to this type of space and as you see in this post the added wood frame helps to warm and complete the space. Decorative wall mirrors – a mirror can go well in almost any space like above a table, buffet, mantle, couch, hallway etc. A frame gives the mirror weight and enhances the room’s style. Add barn wood for a farmhouse style, white moulding for a modern look, or etched wood for a more formal look. Leaning floor mirrors – a floor mirror adds a nice element in a space and can decorate a wall or corner nicely. Some scrap wood and trim were added to this floor mirror to create a beautiful statement for this space. 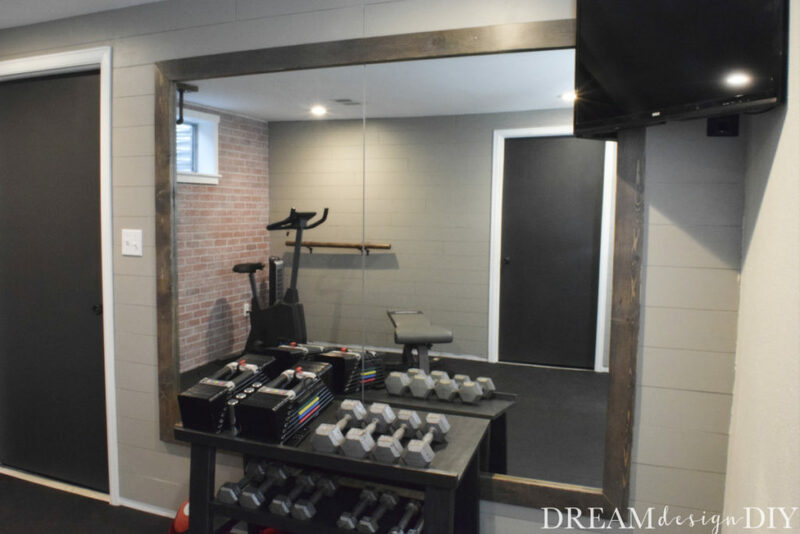 For our home gym we purchased two large mirrors each measuring 5 x 3 ft so the total surface area of both mirrors together is 6 x 5 ft and this is what we ended up framing. 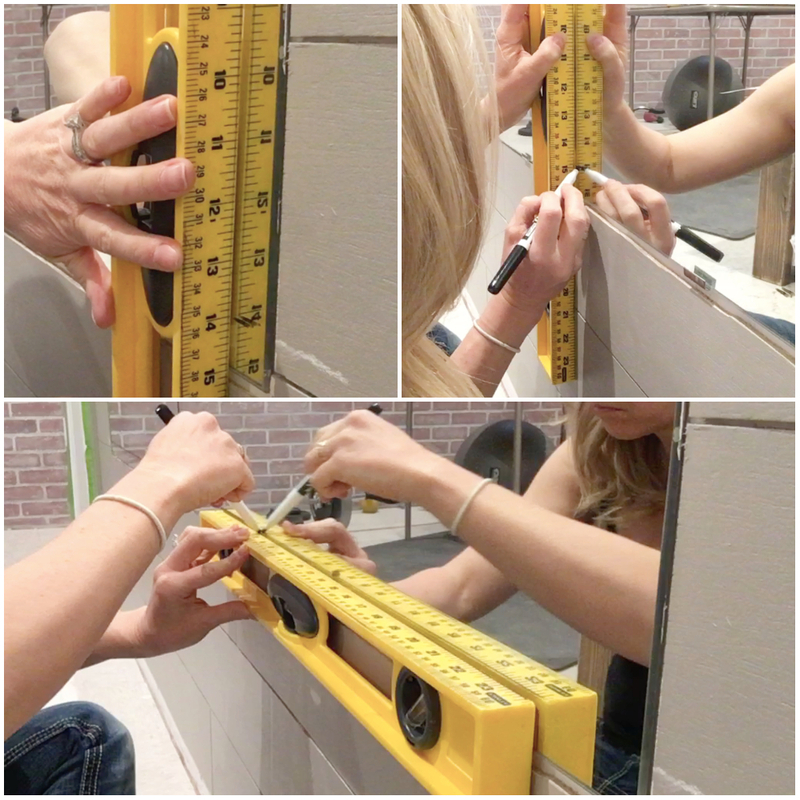 You can use this same tutorial for any sized wall mirror in any room just make sure to adjust your measurements. 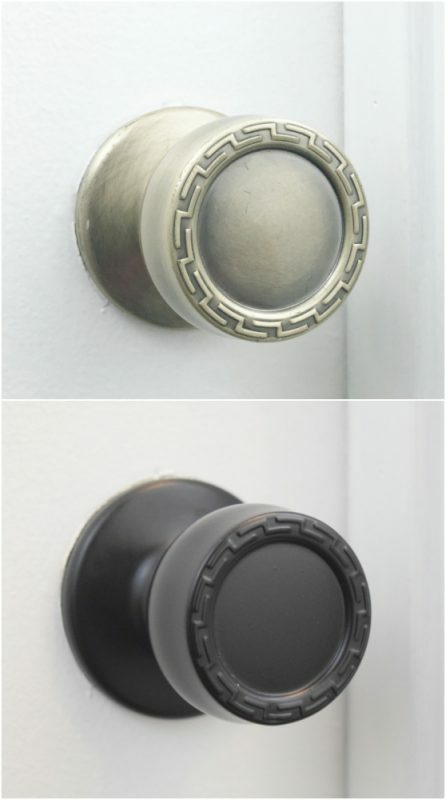 After your mirror is mounted you can continue with the tutorial below. *Your cuts will vary depending on the size of your mirror. For best measurements I recommend installing your top and bottom pieces, then measuring for the side pieces and then installing the sides. I found the best way to figure out my cuts was to use a dry erase marker and a level. I made several marks one inch from the edge of the mirror and then drew a line connecting the marks. 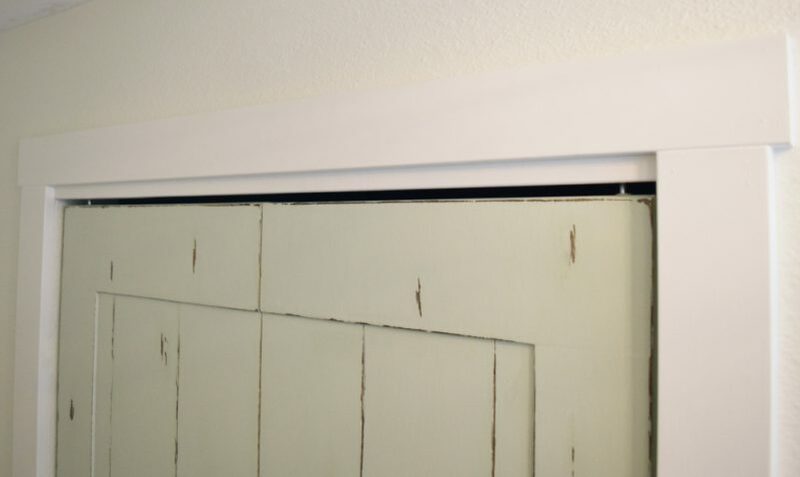 This line marked the edge of where the wood frame would set on the mirror. Step 1) Make sure to locate your studs. We already knew where our studs were located because the mirror clips were already in studs. After I made my bottom and top cuts I sanded and stained the wood. I also lightly sanded just the edges of the frame after they were stained to add a rustic touch. Step 2) Then we placed the piece of wood against the mirror over the clips and marked where I would need to carve out the wood for the clips. 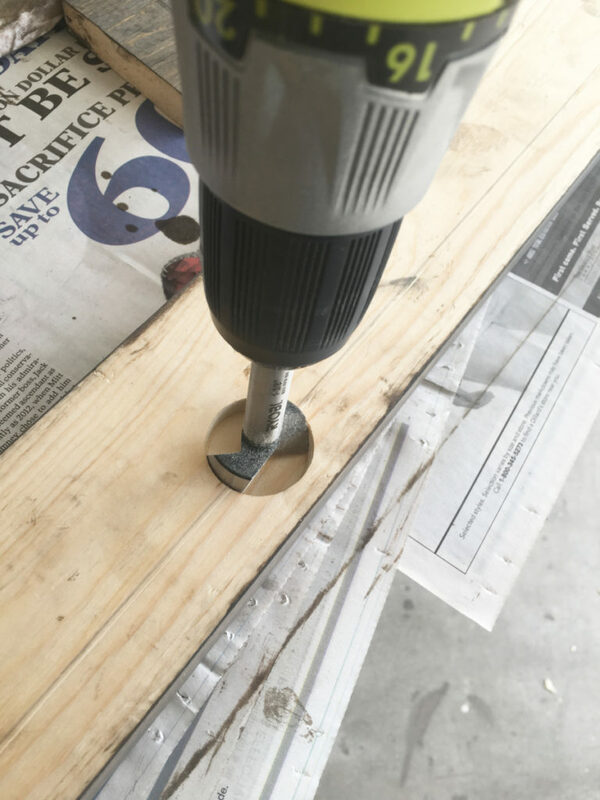 At first I thought about using a chisel to carve out the wood, then a genius idea hit me. I decided to use a forstner bit instead and it worked amazing. Then we did a test fit, lined it up with the dry erase marker marks, checked for level, and fired in several 18G brad nails. We repeated this for the top part of the frame. Step 3) For the sides I held up a 1 x 4 next to the bottom and top frame and marked for my cuts. Then I made a 45 degree miter cut on both ends, held up with the level and did a dry fit. Then I sanded and stained the sides, sanded the edges for the rustic touch and attached the sides with 18G brad nails. Step 4) For finishing touches I used wood filler and filled in nail holes and any gaps where the mitered corners met. Wood filler, after diamonds of course is a DIY girls best friend! See the difference? Hope this post has helped give some ideas for framing a mirror. I would love to have a mirror that size in my bedroom but I am not sure what my husband would think! Ha ha…yes convincing our husbands to agree with what we want can often be a challenge. Good Luck!